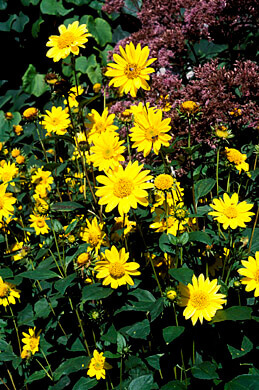 This perennial sunflower has multiple stems growing to 2m high. Each stem has up to 15, 5cm round sunflowers in the autumn. Great for the back of the perennial border or as a cut flower. Keep moist in flowering season.